From a basic living room system, to a fully dedicated ultra high end theater system, Sound Investments will provide high value that will exceed your expectations. Guaranteed. At Sound Investments, we are committed to designing and building quality home theater systems that provide superior sound and stunning visual technology. From simple to elegant home theater installation. Home Theater and Surround Sound Technology continues to change but our goal is the same: to give you THE movie theater experience in the comfort of your own home. An Audio Distribution System designed by Sound Investments will allow you to play music in any room throughout your home or office via a central processor. 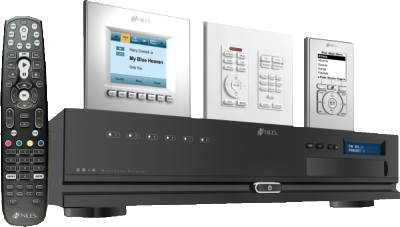 Our systems are simple and intuitive, allowing you to control your music using a variety of devices including: keypads, touch panels, handheld remotes or a number of other Wi-Fi devices. Whether your speakers are located in your ceiling, walls, or exterior, Sound Investments designs state-of-the-art system that seamlessly blend into their surroundings and enable you to further enjoy every room in your home. At Sound Investments we want your family room to be a livable and enjoyable space with discretely integrated technology. The goal of your custom media room is to mix art with audio, and design with technology. We’ll provide you with the ability to customize your family room with the audio and visual equipment to fit your day-to-day needs. Eliminate ‘coffee table clutter’ and control everything from a single remote. With our ability to design and build custom speakers, we can make them blend with the existing finishes or disappear altogether all the while satisfying the most demanding audiophile in the family. Hide components with quality furniture or custom built cabinetry. Watch movies via bluray , a media server, or on-demand from Netflix or Apple TV. The latest technology should not be difficult to use. We provide easy to use universal remotes with all systems. At Sound Investments we can help you design a versatile space that provides you and your family comfort, beauty and integrated electronics for hours of fun. Sound Investments excels in designing and building acoustically correct spaces for music listening or Home Theaters. We can design and build the most effective products to solve the acoustical issues that plague home theaters, so call us for a free consultation for your existing or new space. 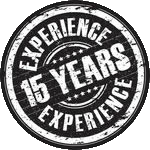 Our custom acoustical treatment will provide you with a theater you’re very proud of…and one which looks and sounds far better than you imagined you could afford.